This customer who lives in Woodfin suspected that he had a hard water issue, so he stopped by our office with his water sample. They are on a communal well and were having complaints of dry hair and skin. We tested the water and it was in the moderately hard range. 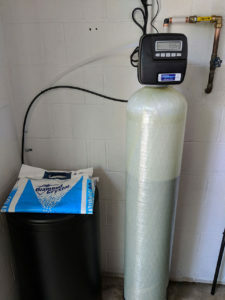 We installed a water softener to remove all of the hardness from their water.